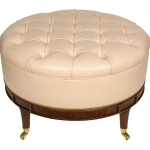 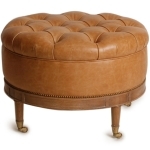 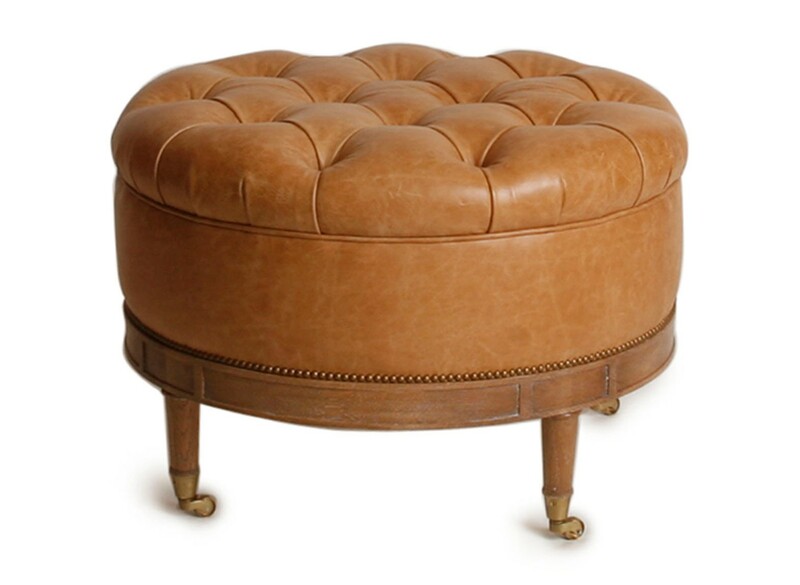 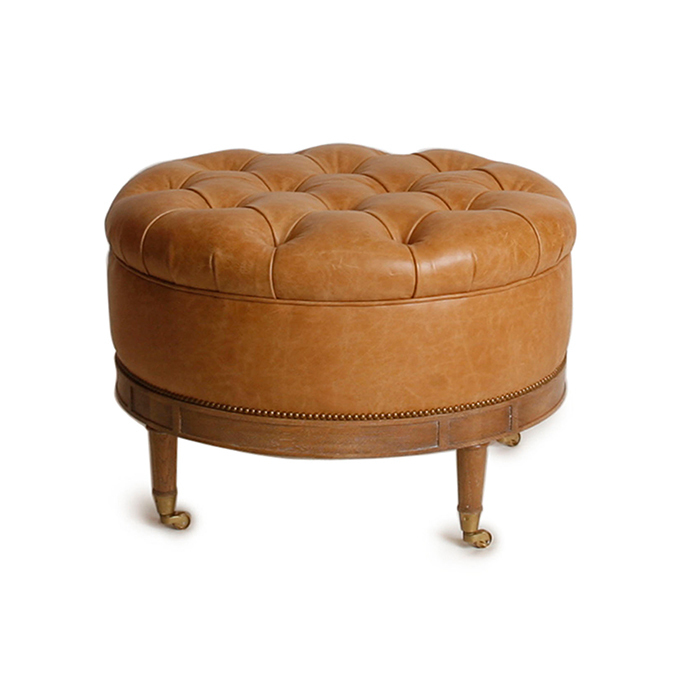 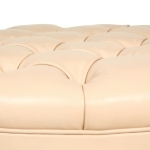 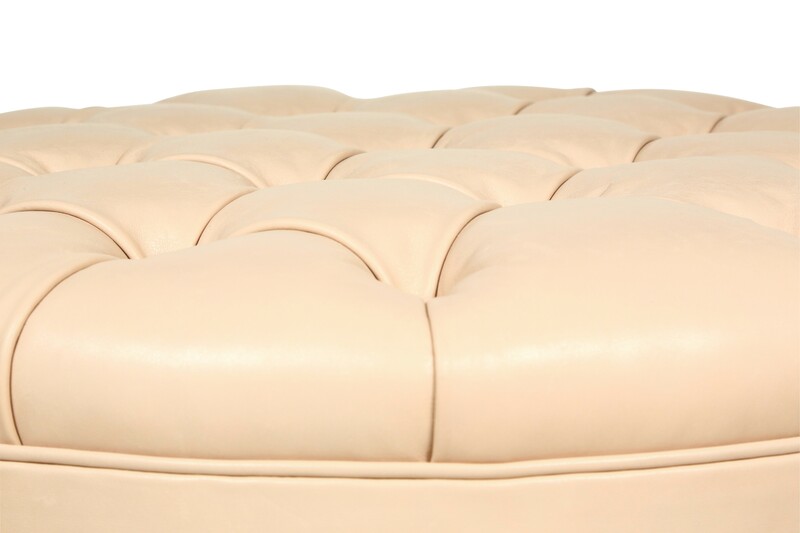 Upholstered ottoman with solid wood base, shown in tan as well as pearl peach leather with unlaquered brass castors and nail head detail. 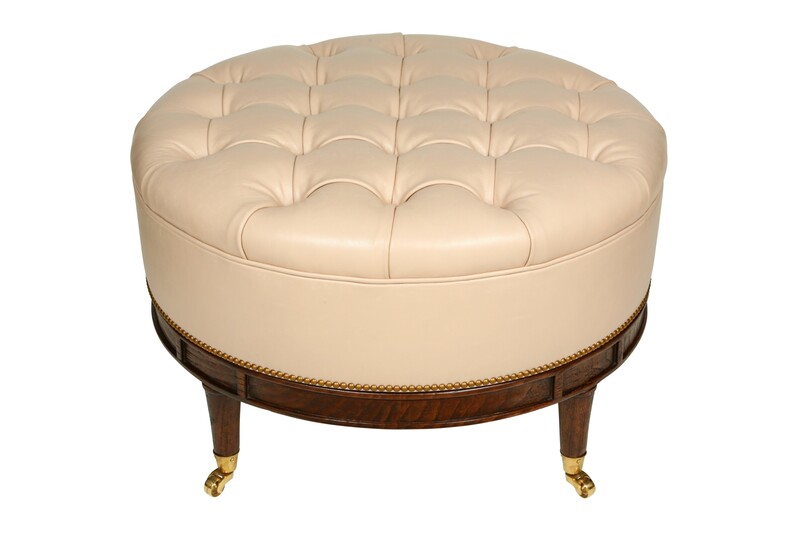 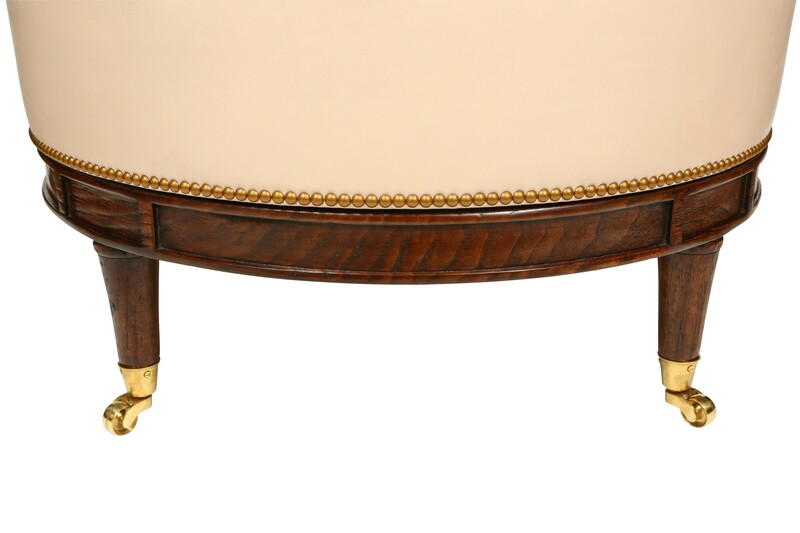 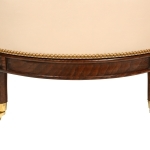 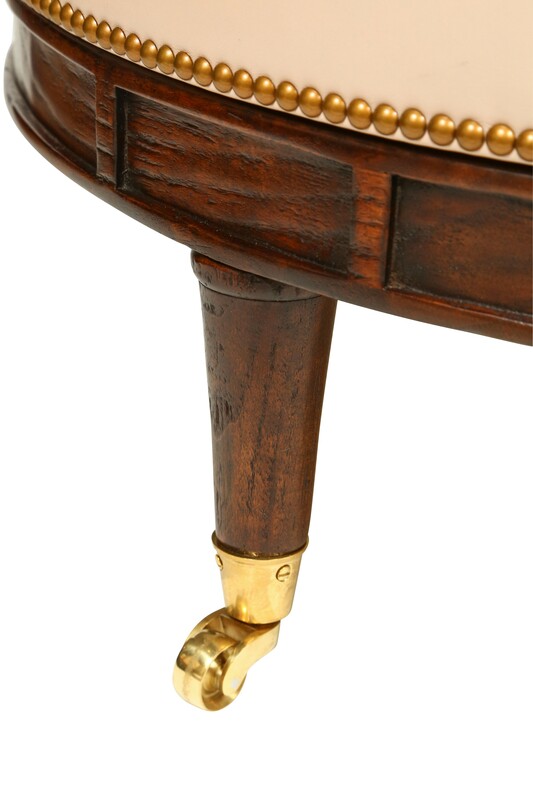 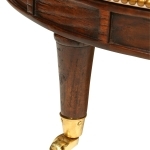 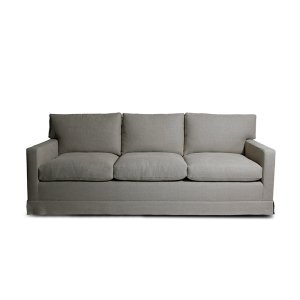 Features tufted top, accented by inset detail on frame. 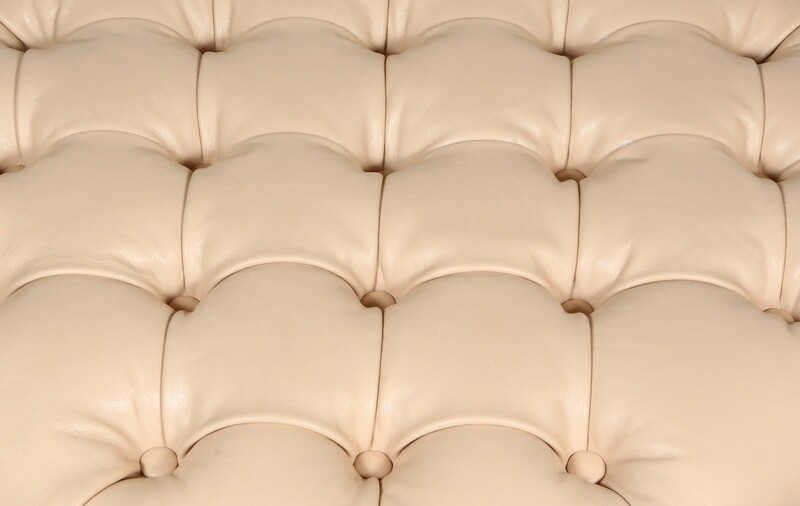 Fabric Requirements: 4 yds COM, 84 sqft COL.